PoPville » Georgia Avenue Come on Down – You’re Getting a Small Format Target!! Georgia Avenue Come on Down – You’re Getting a Small Format Target!! “Target is announcing plans to open a new small-format store in Washington, D.C., located at the intersection of Georgia Avenue and Eastern Avenue in the Shepherd Park neighborhood of Northwest D.C. 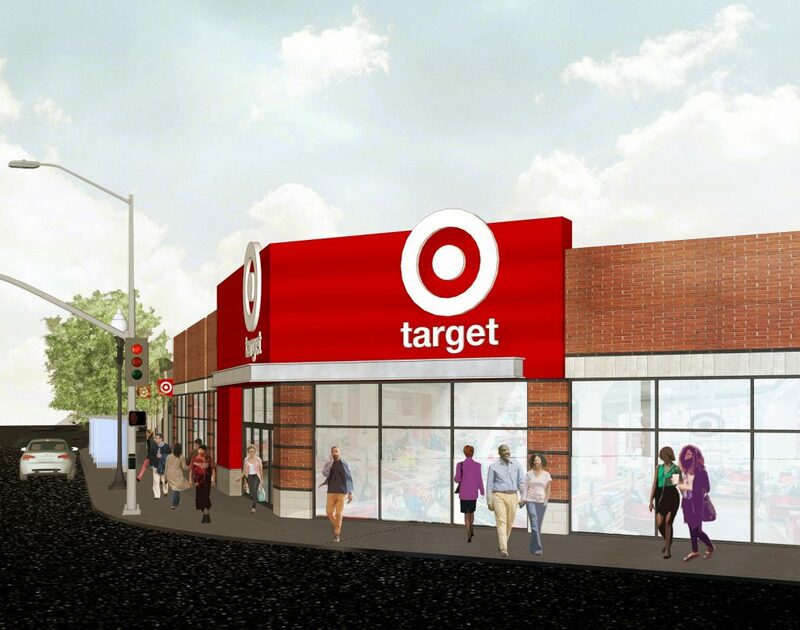 This approximately 30,000-square-foot-store will be Target’s eighth open or planned small-format store in the D.C. metro area. It will join existing locations in College Park, Rosslyn, Bethesda and Falls Church Tinner Hill, as well as future stores in Cleveland Park (2019), Northeast D.C. on New York Ave (2020) and Ballston, Va. (2021). Target has signed a lease with Douglas Development Corporation, and plans to open the D.C. Georgia and Eastern store in 2019. Nationwide, Target is reaching new guests by expanding small-format stores in urban areas, dense suburban neighborhoods and near college campuses – places where a traditional-sized Target store may not fit. The retailer is on track to operate 130 small-format stores by the end of 2019. “Target is excited to expand our footprint in D.C. with the Georgia and Eastern store, which will serve new guests throughout the District, Silver Spring, and surrounding neighborhoods. Located in a popular commuting corridor, the store will offer local families and on-the-go professionals a convenient and quick-trip shopping option that’s both easy and inspiring,” said Mark Schindele, senior vice president, Properties, Target. The store will also offer Order Pickup – a convenient service that gives guests the added security of buying online and picking up in a store. More than 95 percent of orders are ready in less than an hour for guests at their local Target store. In addition, Target and Shipt began same-day delivery in the D.C. area this spring to make shopping Target even easier. Through Shipt, guests may shop online and have their orders delivered in as little as one hour. This new D.C. store will employ approximately 55 team members. Target is an employer that values the individuals who come together as a team to serve guests in the community and provides team members with opportunities to build and develop skills for their careers. Target offers market competitive wages to our team members in cities across the country and recently increased its minimum hourly wage. This investment in the team will allow Target to continue to recruit and retain strong team members and provide an elevated experience for its guests and in the communities it serves. “Target’s growing investment in the District means more retail options in our city and more jobs for our residents. I’m pleased that we were able to grow this opportunity in such a short time – a true signal that investing in Washingtonians nets immediate results,” said Mayor Muriel Bowser. Like the Cherry Blossoms and Gingko Tree Spraying – Another Rite of Warmer Weather – Was that Gun Shots or Fireworks Last Night?